Regardless of the size of your agency, connecting with clients during the holiday season is a great way to say “thank you” and express your appreciation for your clients’ business. 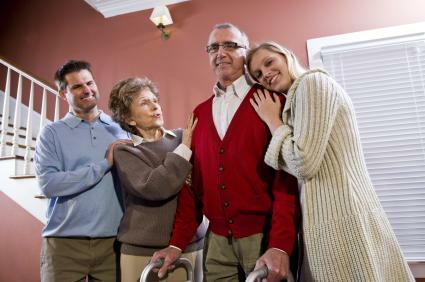 However, holiday greetings also present an opportunity to market your services by reminding clients that holiday care visits can provide additional respite for family caregivers or assist seniors with getting ready for holiday guests and gifts. While the idea of getting ahold of your clients and prospects during the holiday season can be daunting amongst the countless other tasks that accompany this time of year, a robust home care software or home care system, such as ClearCare, can make sending well-wishes a breeze. Whether your clients celebrate Christmas, Hanukah, Kwanzaa, or simply the New Year, a greeting to wish people a happy holiday and joyous new year can be a thoughtful way to express your appreciation and drum up business. With a wide variety of personalized cards available through printers like Vista Print or Shutterfly online for extremely reasonable prices, you can get personalized greetings for minimal effort and cost. But what about addressing all those envelopes? With a comprehensive home care software or home care system, such as ClearCare, you can transfer your client and referrer information directly from your management software to mailing labels – and get those greetings in the mail! If the cost and process of cards doesn’t quite fit your agency image, a winter newsletter sent via email allows you to connect with all of your clients – and their family members – with a simple send. Include information about days that your caregivers are available to provide extra service hours for holiday prep and family caregiver respite, as well as any upcoming changes for your agency in the new year. This can be a great time to touch base with current, prospective and former clients as people look to make changes in the new year, which may include additional care for a senior at home. To make electronic communication easy, you can store the email of all of your clients (and their contacts) in your home care software or home care system. And with a state-of-the-art home care system, such as ClearCare, you can quickly retrieve this contact information for use. The holidays are also an ideal time to remember your referral sources, and with a CRM module built into your home care software or home care system, you can keep easy track of your referral sources to include them in your holiday greetings. Or, to further cultivate a relationship with your top referrers, consider stopping by with a token of your appreciation such as candies, holiday cookies, or perhaps a nice basket of coffee for the office or bottle of wine to enjoy at home. While the hustle and bustle of the holidays can make business and personal life overwhelming, taking time to connect with your customers, prospects and referral sources can be an important part of building relationships and business for the coming year. And with an innovative home care software and home care system like ClearCare to help, you can manage your holiday greetings (and growing business) with ease!